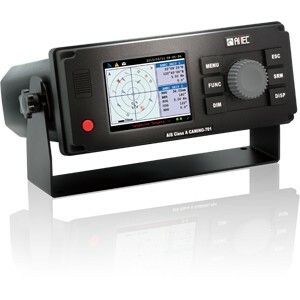 The AMEC CAMINO-701 is an AIS Class A transponder for both SOLAS and inland vessels. Fully certified to latest international standards, the transponder is ready for worldwide deployment. The transponder is designed to provide high performance and great reliability – a result of our software defined radio technology expertise and years long field experience. Its user-friendly interface enables an intuitive handling of complex features AIS class A delivers. The compact housing makes the transponder the smallest one in the world with integrated colour LED display. It comprehensive NMEA2000 support makes the integration with existing bridge systems easier than ever.